GM layoffs delayed at CAMI plant in Ingersoll, Ont. 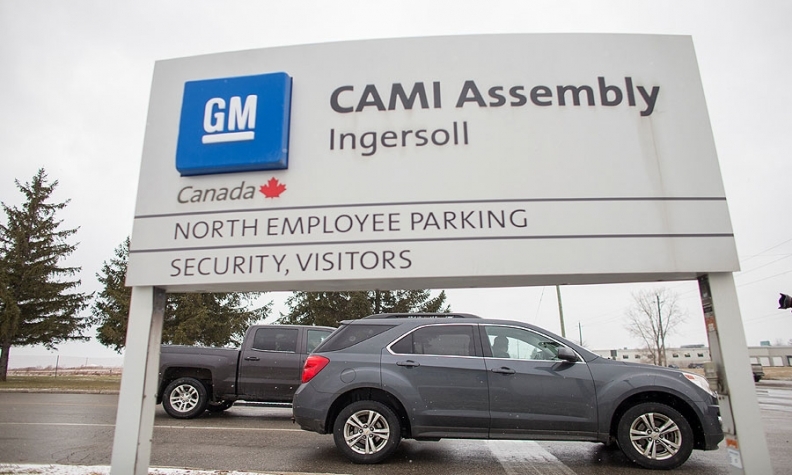 Layoffs at the General Motors CAMI plant in Ingersoll, Ont., have been delayed by nearly two months, according to the union that represents hourly workers at the factory. But the automaker still plans to eliminate about 600 hourly jobs at the plant. Unifor Local 88 plant chairperson Mike Van Boekel said layoffs were originally scheduled to take effect July 3, but will not happen now until the end of August. He didn’t have an exact date. Workers are still building vehicles to fill remaining orders for the GMC Terrain crossover. That should wrap up July 13, Van Boekel said. Production of the redesigned 2018 Terrain will then shift to a plant in Mexico. The plant will also be idled the weeks of July 17 and July 24, Van Boekel said. After the Terrain is dropped from Ingersoll, workers will be left to build only the Chevrolet Equinox crossover. In March, the automaker let the union know it was cutting 625 positions at the plant. Van Boekel said about 200 union members took early retirement packages while about 400 more, possibly fewer, will be out of a job at the end of August. Unifor workers at the CAMI plant weren’t covered by contract negotiations between the union and GM during fall 2016. They have a separate agreement that expires in September. Van Boekel said some of the layoffs could “absolutely be seen as” gamesmanship by GM. With the Terrain moving out, it leaves 400,000 square feet of factory space empty in Ingersoll. Van Boekel said he’s not confident all the 400 jobs will be restored through a new collective bargaining agreement in the fall. “But that’s part of our bargaining plan,” he said. CAMI shipped 242,000 Equinox models and 88,000 Terrains to the United States in 2016. U.S. sales of the Equinox in June were up nearly 10,000 units over the same month last year. A call to General Motors Canada for comment wasn’t immediately returned.